First Solar has apparently invested US$16million (T$36.8m) to increase Samoa’s renewable energy generation but it has threatened the government over a dispute in the treatment of V.A.G.S.T in the existing Power Purchase Agreement (P.P.A.) between the parties. The company accuses the Electric Power Corporation (E.P.C), and the Office of the Regulator (O.O.T.R.) over a proposal to enforce new feed-in-tariff (FiT) regulations, violating an agreement they had already signed. But the company’s attitude has irked the Prime Minister. He said First Solar should not interfere, as they are not the party egotiating with the government. Tuilaepa wouldn’t reveal what they are negotiating. 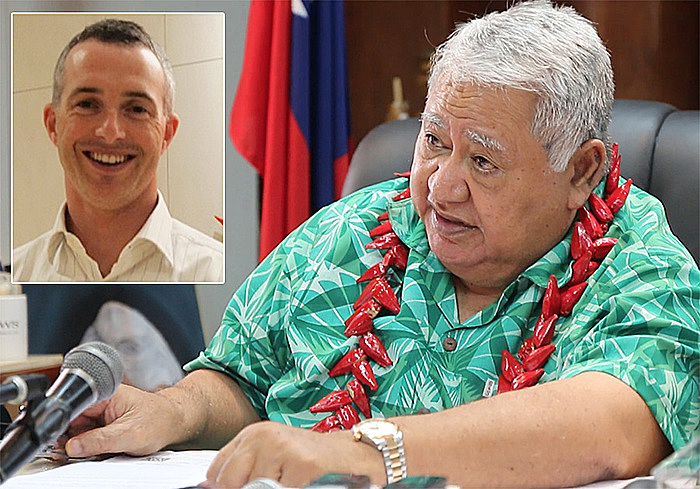 But he said the letter from Jack Curtis, Regional Manager - Asia Pacific First Solar, leaked to the Samoa Observer, has come out of the blue. Tuilaepa said he has already responded it. 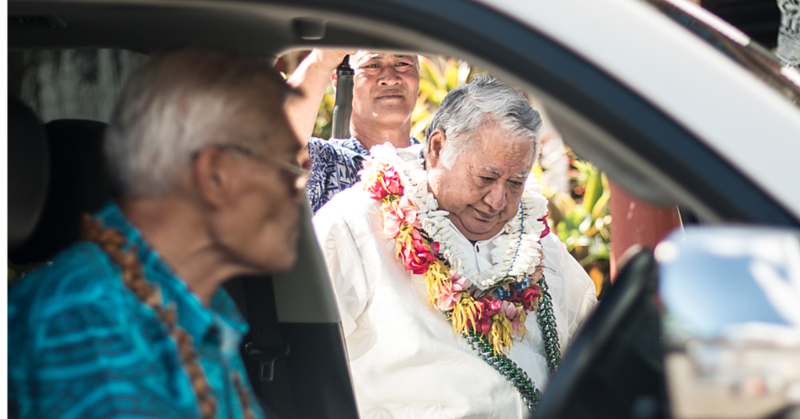 “I wrote to him and explained that the main objective for the government is to get companies who can offer cheap rates for the people of our country,” Tuilaepa said. The Prime Minister said he advised Mr. Curtis against being greedy. Tuilaepa the party negotiating with the government is Solar for Samoa. He went on to say that with situation such as this, it is always vital for all parties to know their place and what they do. “They should understand the situation first and make sure that they fully-understand what they do. The letter is question is dated 28 February 2017. It is addressed to the Chief Executive Officer of the Ministry of Prime Minister and Cabinet, Agafili Shem Leo. Copied are Prime Minister Tuilaepa Sa’ilele Malielegaoi, Minister of Works, Papali’i Niko Lee Hang, Minister of Public Enterprises, Lautafi Fio Purcell, Minister of Communications and Information Technology, Afamasaga Rico Tupa’i and the Minister of Finance, Sili Epa Tuioti. Mr. Curtis’s letter is a last resort by the company to reach a constructive resolution with the government agencies involved. “The aggressive approach taken by the O.O.T.R. on its proposed FiT regulations — despite SfS’s executed P.P.A. with E.P.C. — also presents an unmanageable risk for SfS and First Solar. “Beyond the significant impact to our investment, which would not be feasible at the proposed reduced FiT rate of US$0.15 per unit, the proposed changes will negatively impact all existing renewable energy projects and unequivocally damage the future of the renewable energy industry in Samoa through the curtailment of private sector investment. “Despite efforts made by SfS, the proposed regulations have been developed without consultation with key investors and/or financing corporations such as the International Finance Corporation (I.F.C), Asia Development Bank (A.D.B) and ANZ Samoa Bank. “In all our dealings, we have never witnessed a Government regulator enforce legislative changes on existing projects that are in operation with a formally executed P.P.A,” the letter reads. “The actions taken by E.P.C and O.O.T.R and the treatment of SfS by the Samoan Government (and its related institutions) has decimated our confidence in the country and raised sovereign risk concerns for current and potential investors from all industries vital to Samoa’s economy. “We have no doubt this has caused irreparable damage to the credibility of Samoa and the Pacific region as an investment destination for multinationals. “Unfortunately, and despite the initial success of the Project, the current issues validate the challenges and risks often perceived by private sector investors in Samoa.